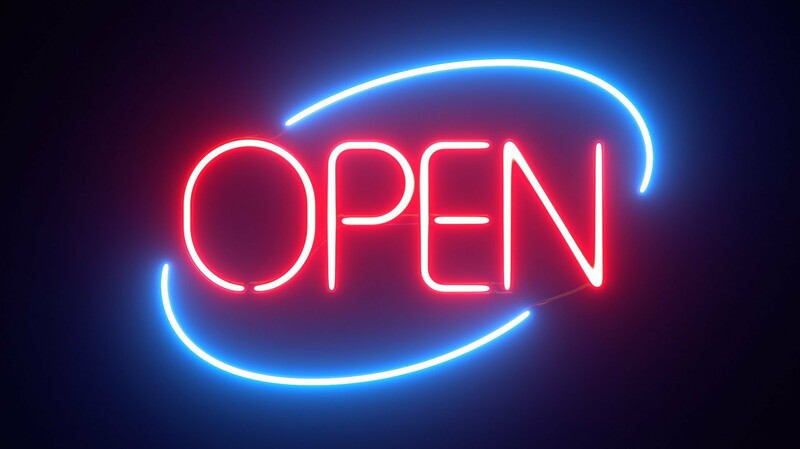 Why is it that stores today, those with street frontage along the sidewalks of small towns, have to tell us they’re open with a neon sign that says “OPEN”? This wasn’t necessary in my youth—admittedly that was a looong time ago, before there were suburban shopping malls—so I wonder what’s changed. Businesses of all sorts, places that sold shoes and sweet rolls, places that cut your hair or fixed your toaster, were open because they looked open, not because they used a sign to indicate their openness. An easy answer may be the damage continuous sun can do to whatever is displayed, especially clothing, but that problem was easily addressed by that frilly thing above the guy’s head in this photograph: it’s called an awning, and it could be extended over the walkway to protect both the merchandise and the prospective buyer. Today we shield window displays with tinted glass that has the unfortunate side effect of making your shop look like a Georgia State Trooper about to issue a traffic citation. 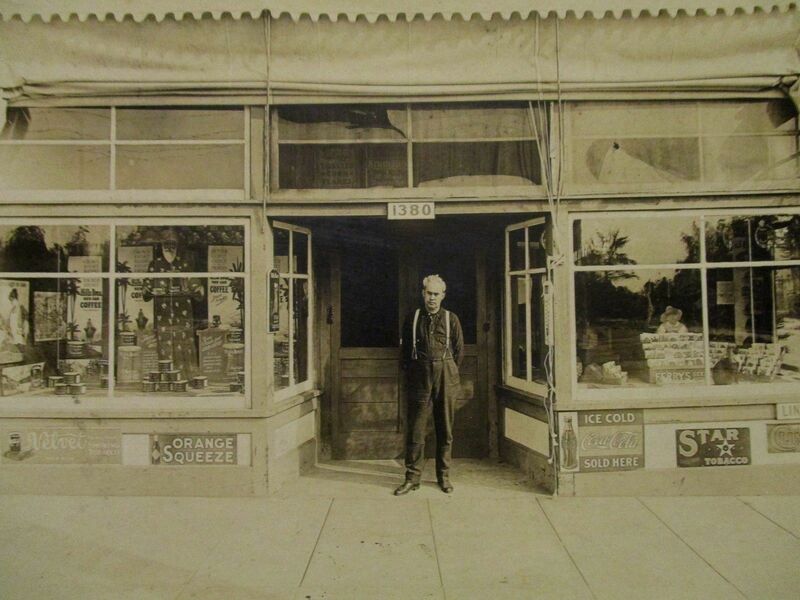 I long for the days when you just knew a store was open for business without having to be informed with signage. As the enclosed-mall shopping experience goes the way of the dodo—an experience I avoid even today while the disappearance of a major retailer from our regional shopping center may indicate a death spiral—converted, perhaps, to a 24-7 megachurch, and is replaced by something more like the neighborhood I knew as a kid. Am I simply being nostalgic in my decrepitude, or is there some more sinister economic phenomenon at work? PS: Though I don’t own that postcard image above, it does seem a candidate for placement somewhere along South Broad Street in Agincourt’s lesser shopping zone. By agincourtiowa in Uncategorized on Wednesday/28/March/2018 .